By accepting the Cycling Embassy of Denmark’s terms and conditions, you agree as a customer to the following conditions for our guided bike tours. I understand that the Cycling Embassy of Denmark’s tours are physical activities and require that I am able to ride a bike. I am in reasonable physical shape and assume the risk that I’m able to travel the given distance, as mentioned on the website, of the bike tour I am booked on. I understand that if I in any way am not able to ride the Cycling Embassy of Denmark’s tour in the given speed and given distance, the Cycling Embassy of Denmark has the right to deny me and others I have booked a trip from the remainder of the ride, without any financial compensation. I am in reasonable physical shape and I know my physical limits well enough to stop before I possibly get injured or otherwise physically unable to attend the Cycling Embassy of Denmark’s specific bike tour. Should I along the tour get an injury or become physically unable to complete the ride, it is my own risk and the Cycling Embassy of Denmark assumes no risk for this and I receive no financial compensation. I understand that all cycling routes are open to normal traffic in areas where road traffic regulations and I am personally responsible for acting in accordance to regulations. I understand that there are no water stations on the trips and that I therefore must bring town drinks, if deemed necessary. I will cycle in accordance with the Danish traffic laws and regulations. I understand that by accepting the terms and conditions, I’ll give up my right to sue the Cycling Embassy of Denmark or otherwise seek compensation from the Cycling Embassy of Denmark and their guides. I give my permission to pictures taken by myself or others I have booked a bike ride, may at any time be used by the Cycling Embassy of Denmark on their websites, social media, in connection with marketing and press activities. If you or people you are booking for do not want your photos used, you must inform us in writing before the start of your ride with the Cycling Embassy of Denmark. I understand that in the event that I have ordered a helmet, it is my and only my responsibility to return this after the ride. I decide if I want to use a helmet and the Cycling Embassy of Denmark cannot be held liable for damages incurred as a result of non-use of helmets. I understand that my participation is at your own risk and that I therefore cannot hold the Cycling Embassy of Denmark liable for damage to myself, to equipment and assets owned by third parties or damage to the equipment that I have borrowed/rented by the Cycling Embassy of Denmark. The Cycling Embassy of Denmark is also not responsible for the damage property of The Cycling Embassy of Denmark may cause the participants or assets / items belonging to the participant. The Cycling Embassy of Denmark disclaims responsibility for product liability as much as possible. I understand that I am responsible for that the bike is returned in the same condition as I received it and that I am liable in the event that the bike is stolen or is damaged, or otherwise subjected to impairment during the trip. It is possible to cancel a bike ride up to 48 hours before starting. If canceled up to 24 hours before the start of a tour, the customer is charged a cancellation fee of 50% of the total booking amount and, if canceled later than 24 hours before the bike tour starts, it is not possible to get a refund. To cancel you must email info@cycling-embassy.org. Payment of trips will be made via invoice after the tour. The Cycling Embassy of Denmark and other persons or organizations in partnership with The Cycling Embassy of Denmark, can in no way be held liable in case of accidents, weather, content of tours or other activities and services with The Cycling Embassy of Denmark as provider. 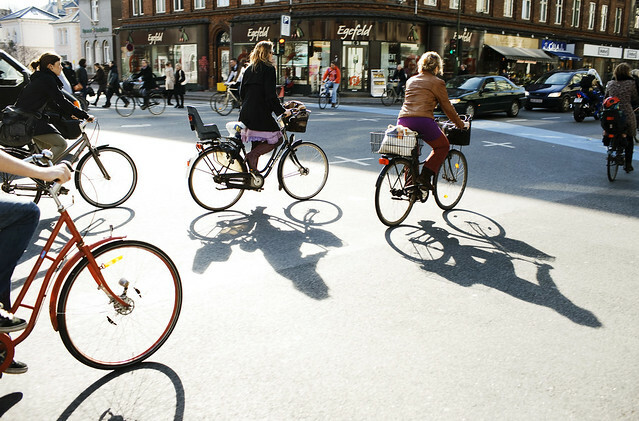 The Cycling Embassy of Denmark cannot be held liable for damage or loss which might occur in connection with our activities, whether before, during or after a potential activity. In the event that you register other guests or booking on behalf of other cyclists, you confirm that you have full right and authority to do so and that the people you are booking for accept all aspects of the Cycling Embassy of Denmark terms and conditions. The Cycling Embassy of Denmark can in no way be liable or otherwise responsible for inaccuracies or omissions in our websites, social media, etc. 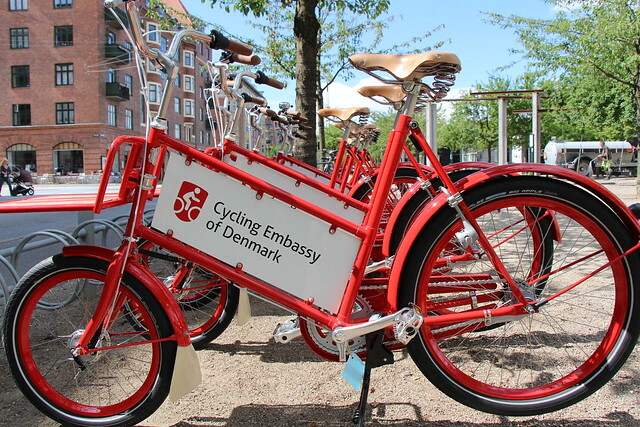 The Cycling Embassy of Denmark can in no way be liable for any substitute services or losses as a customer or third Party may have in connection with an activity with the Cycling Embassy of Denmark or use of our website.